Our contribution at this year EDUCON conference is about „Gamification in MOOCs: A Review of the State of the Art„. We took a close look to current research studies about game elements in MOOCs and summarized the result. A Massive Open Online Course (MOOC) is a type of online learning environment that has the potential to increase students‘ access to education. However, the low completion rates in MOOCs suggest that student engagement and progression in the courses are problematic. Following the increasing adoption of gamification in education, it is possible that gamification can also be effectively adopted in MOOCs to enhance students‘ motivation and increase completion rates. Yet at present, the extent to which gamification has been examined in MOOCs is not known. Considering the myriad gamification elements that can be adopted in MOOCs (e.g., leaderboards and digital badges), this theoretical research study reviews scholarly publications examining gamification of MOOCs. The main purpose is to provide an overview of studies on gamification in MOOCs, types of research studies, theories applied, gamification elements implemented, methods of implementation, the overall impact of gamification in MOOCs, and the challenges faced by researchers and practitioners when implementing gamification in MOOCs. The results of the literature study indicate that research on gamification in MOOCs is in its early stages. While there are only a handful of empirical research studies, results of the experiments generally showed a positive relation between gamification and student motivation and engagement. It is concluded that there is a need for further studies using educational theories to account for the effects of employing gamification in MOOCs. Nach zahlreichen iOS-Apps gibt es nun wieder eine neue Version des 1×1-Trainers für Android mit dem klingenden Namen „1×1 Trainer reward“. Durch ein paar Gamification-Elemente hoffen wir, dass Kinder Spaß am Lernen haben. Mit dem 1×1 Trainer lernst du leicht das Einmaleins! Schalte Tier für Tier frei, indem du die Aufgaben löst. Der 1×1 Trainer bringt Kinder spielerisch an das Einmaleins heran. 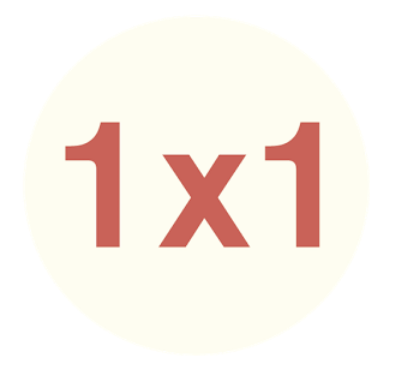 Durch das Freischalten von neuen Tieren und Hintergründen wird Kindern eine Aufgabe gestellt, die Spaß am Lernen von Multiplikationen machen soll. Es kann sowohl online als auch offline gespielt werden. Die Statistiken aller Herausforderungen können auch eingesehen werden, wodurch man sieht was noch fehlt um ein bestimmtes Tier freizuschalten. Ines hat ihre Masterarbeit über „Gamification von Online-Kursen“ geschrieben und dabei einerseits das Thema aus der Literatur aufgearbeitet und andererseits versucht erstmals Daten aus iMooX auszuwerten für ein Gamification-Element. 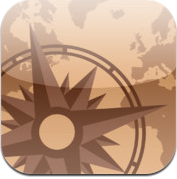 Im Rahmen unserer Vorlesung „Mobile Applications 2013“ ist nun zu allerletzt auch die App GeoWorld+ entstanden. Gegen Punkte und Zeit sollen möglichst schnell und nahe geographische Ziele auf der Weltlandkarte gefunden werden. GeoWorld+ is the ultimate city-quiz. Playfully learn the geographical location of many cities all around the world. Whether young or old, GeoWorld+ is a challenging way of having fun. Im Rahmen unserer Vorlesung „Mobile Applications 2013“ ist die App Play & Learng Colors entstanden. Ziel ist das Erlernen der Farben in der Sprach Englisch für das Vorschulalter. Daher auch die sehr liebevollen Grafiken. 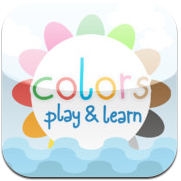 „Play and Learn Colors“ is a fun way to learn colors in english. First, select one of the two currently available worlds: balloons or ships. Wait for the color to be pronounced and select the object in the correct color.Learn new colors as you play. Quit any time you like and start again with the colors you have already learned. The start screen provides a unique overview of all previously learned colors in both worlds. 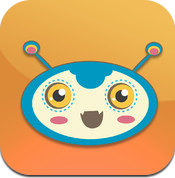 Play, learn and enjoy great graphics on your iPhone or iPad. Im Rahmen unserer Vorlesung „Mobile Applications 2013“ ist die App Super 1*1 entstanden. Diese App stellt einen ersten Versuch am Forschungsfeld Gamification dar, indem man einerseits das Jump & Run schaffen sollte und gleichzeitig auch 1*1-Beispiele zu lösen hat. Play 9 exciting levels in this fun platformer game! Try to get the fastest time in each level! Answering a simple mathematical question correctly replenishes one life, use this to your advantage! Quasi ein Nachtrag zum COER13: Wir haben im Rahmen unserer Vorlesung „Mobile Applications 2013“ die App OER-Remix Game umgesetzt. Ziel ist es dabei auf spielerischem Wege die Komplexität der Kombination verschiedenster Lizensierungen verstehen zu lernen. Ehrlich auch mir fällt das auch nicht wirklich immer leicht, ist manchmal ordentlich zum Nachdenken und dann kommt noch der Zeitstress dazu. Do you ever wanted to explore the depths of license combining or even wanted to proof your knowledge in this craft? 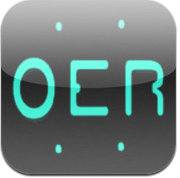 Then the OER remix game may be an interesting way to do so! The Game is structured in two parts. The first and also main part of the game consists of a deck of cards, which is used to explore the challenge of open content license compability issues and, in this context, how you are able to combine open educational ressources. After you found a valid oer remix, you have to choose the end license in the second part of the game , under which your project has to be published. If you discover any problems, suggestions for improvement or even new features for the game, please send us an email and we will help you as far as possibile!